This snacks for the big game post is sponsored by BabbleBoxx.com. It’s one of the most exciting weekends of the whole year! The BIG GAME is on Sunday night and most everyone I know watches- either for the game or the commercials during- or the FOOD- or all of the above! I’m pretty excited to see my Patriots playing again- but really, it’s always fun to see the final game of the football season. It’s always delicious to enjoy the snacks and foods that go along with watching it. Our younger 2 are going away to camp this weekend, and won’t be home until Sunday afternoon. As my son was packing his things, he reminded us that we’ll be needing lots of good snacks to eat while we watch the big game and please don’t forget to have good foods! 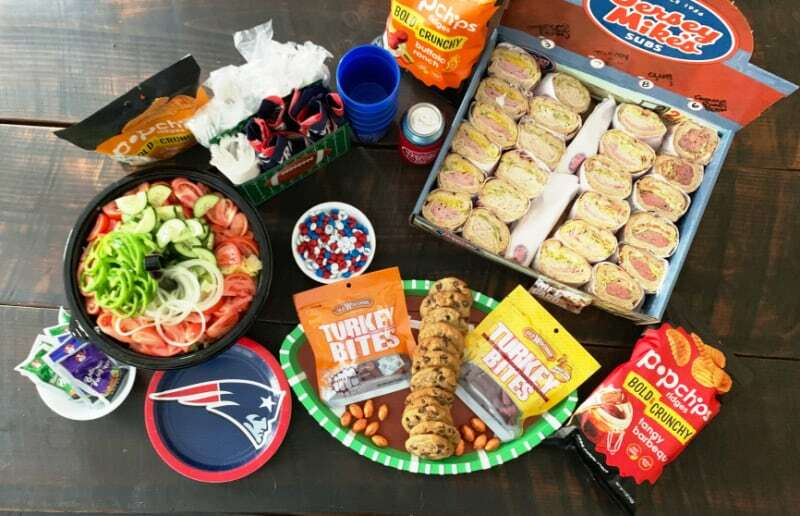 I guess the one thing that we can all enjoy no matter what team we route for is THE FOOD we enjoy while watching the biggest football game of the year! We usually do some or all homemade stuff for our spread, but this year I think we’re going SUPER easy (see what I did there?!) and letting someone else do the work. We got about 90% done with a big project when my husband was home from the shutdown and we’ll be spending every moment we can this weekend trying to get it 100% done before 6:30 tip off on Sunday. So to make life easy and simple, we’re going easy, peasy, lemon squeezy this year. More food and family, friends and fun and less prep time in the kitchen! 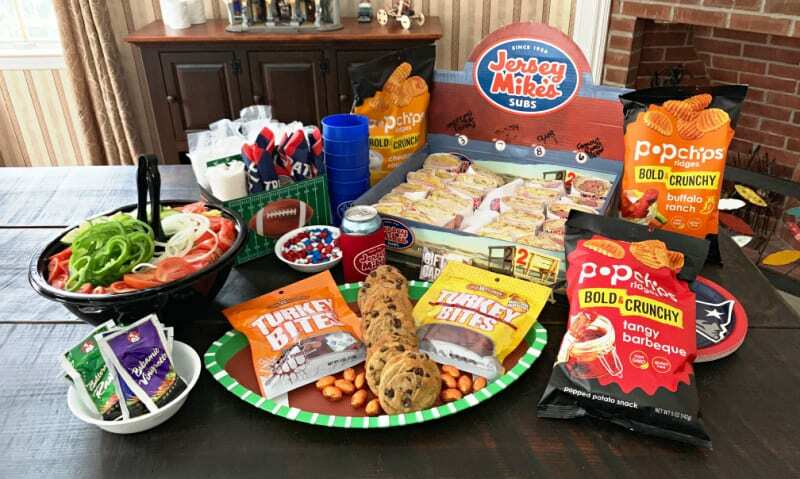 Our Big Game Catering is coming straight from Jersey Mike’s. 4 giant subs which we can customize, cut into small sections and wrapped for easy grabbing and noshing. These giant grinders come lined up and labeled so your guests will know exactly what they are selecting for their snacks. We also like to do a big tossed salad, as we try to be mindful of those who are working on making healthy choices and we try to always encourage our kids to do the same. 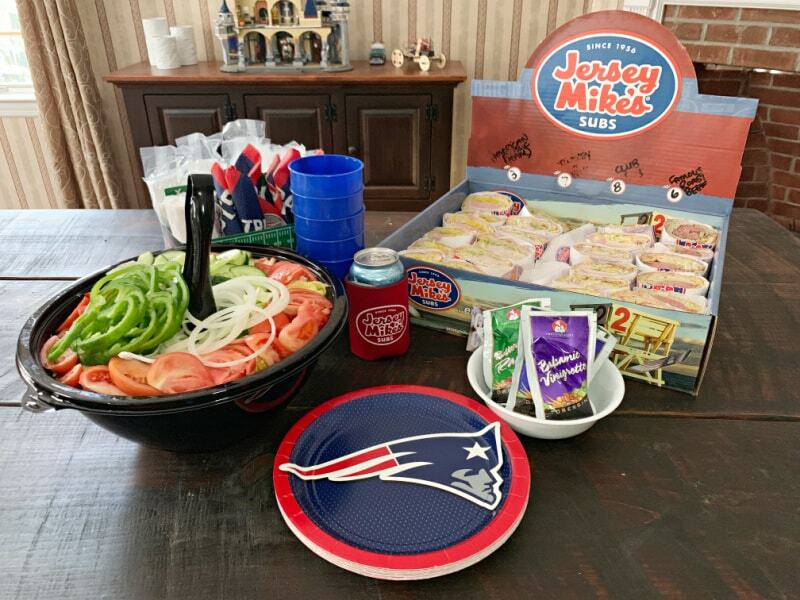 The Jersey Mike’s Catering Box is perfect for feeding a crowd. You can choose from 12 sub options to customize four different varieties of sandwiches! 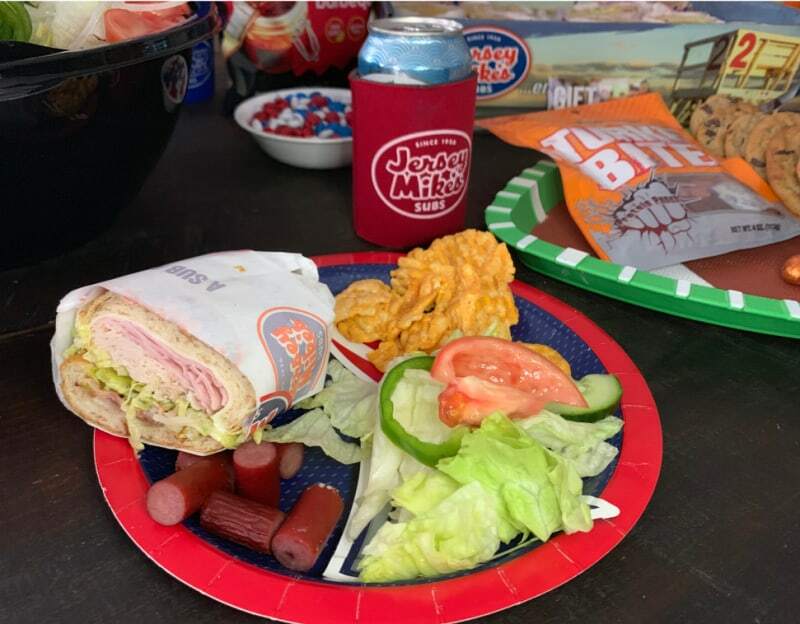 Pictured in ours (left to right) are The American Classic Ham & Provolone, Turkey Breast & Provolone, the Club Sub with Turkey, Ham Applewood Bacon, Mayo, Provolone and finally, the Jersey Mike’s Famous Roast Beef and Provolone. Subs can be customized with and without condiments, have things added in, etc. It’s nice to be able to pick and choose things in a catering box, as I find that often when we order these things, there aren’t options for customization. We were pretty impressed that our catering box came with a container of pickles and banana peppers on the side, and the tossed salad we ordered came with plates, dressing varities, silverware napkin combos and tongs for serving. Super handy, because I can tell you that I never ever remember serving utensils when we’re ordering from anywhere and it’s just nice that Jersey Mike’s remembers for me. 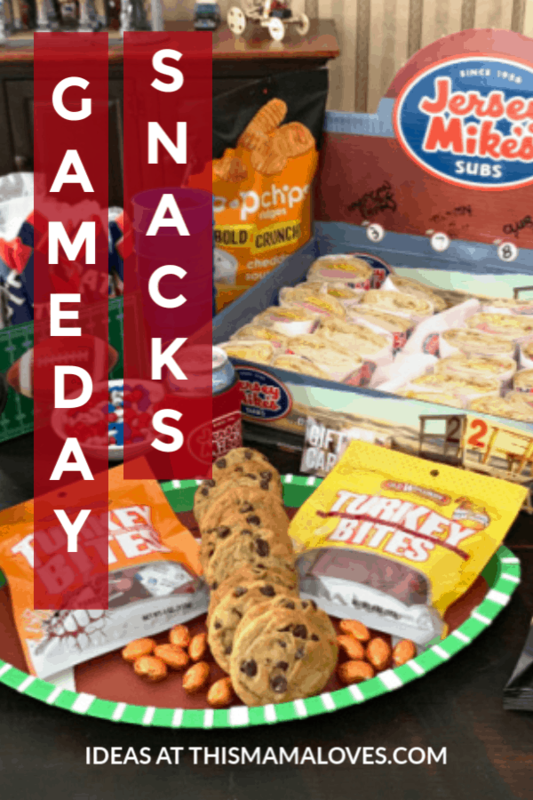 Old Wisconsin Snack Bites bring a gluten free snack that’s high in protein and loaded with flavor to your game day table. 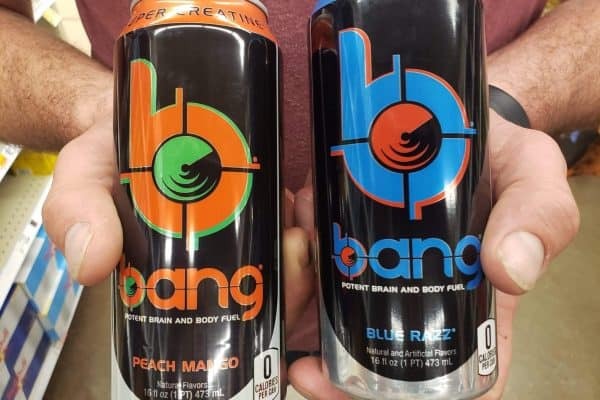 You can find them in beef or turkey, and in 2, 4 and 6 oz packages. The honey brown sugar flavor is pretty sweet, so it’ll satisfy your hunger and your sweet tooth. 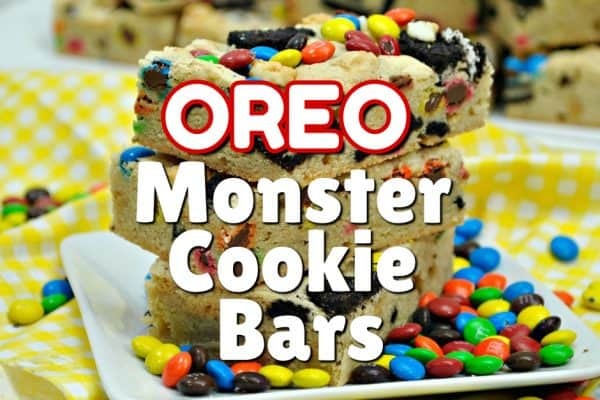 These are great for game day grub or for a quick protein filled snack on the go. Traditional party foods aren’t known for being healthy and it’s easy to consume way too many calories. popchips can help lighten up your game day spread without taking away flavor or satisfying crunch by swapping out deep fried chips for popchips. popchips give a whole lot of crunch without the guilt- or the gluten. 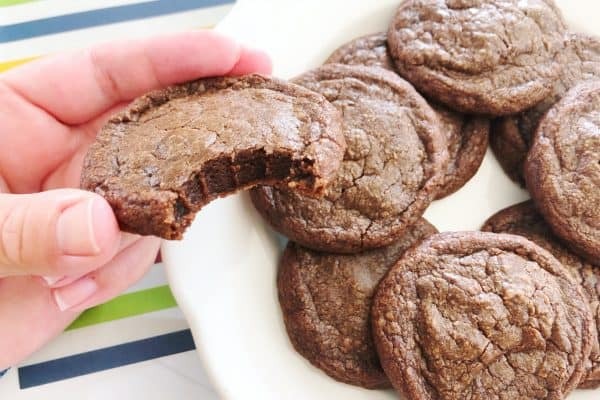 They’re gluten free and kosher, and come in at 130 calories per serving. The popchips ridges line has grooves which create a thicker chip perfect for dipping even the thickest dip- or enjoying as is. 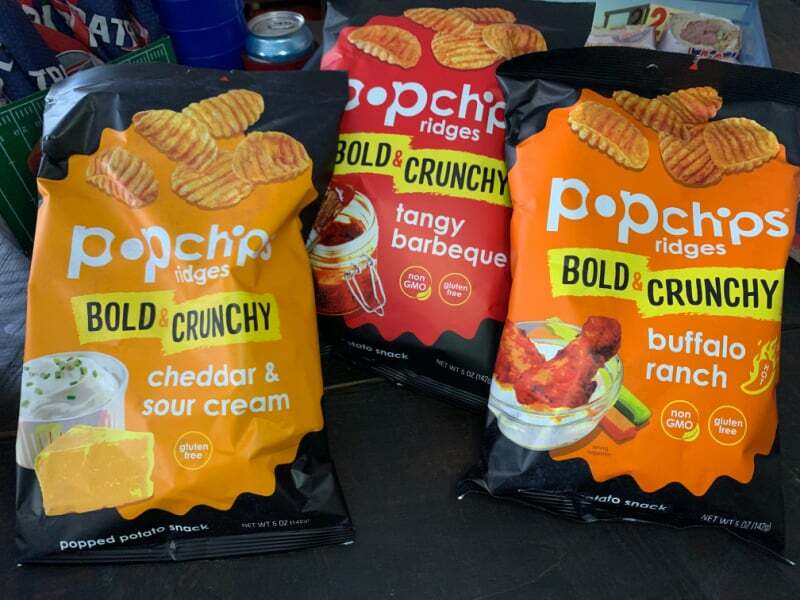 Pick up your favorite flavors of popchips at amazon.com/popchips or your local grocer! 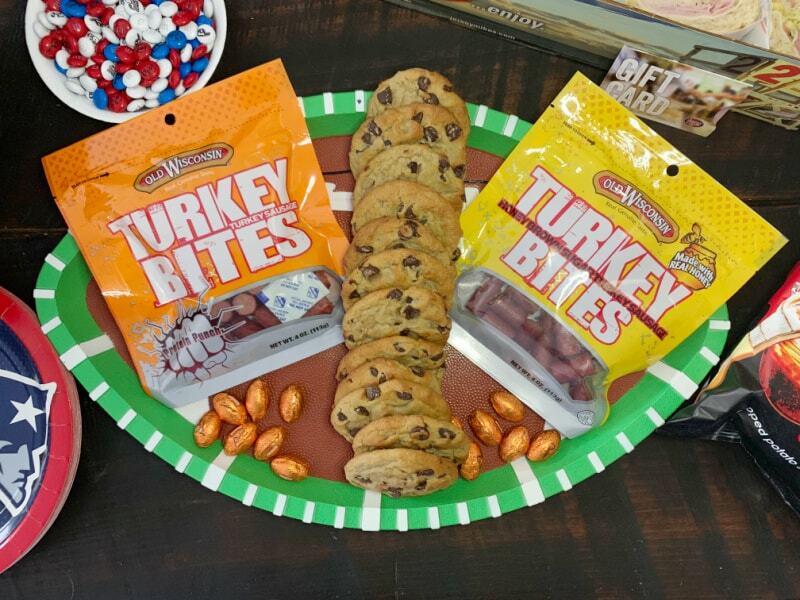 Two questions: what are your go to snacks for homegating or watching the big game? AND… who are you cheering for Sunday?